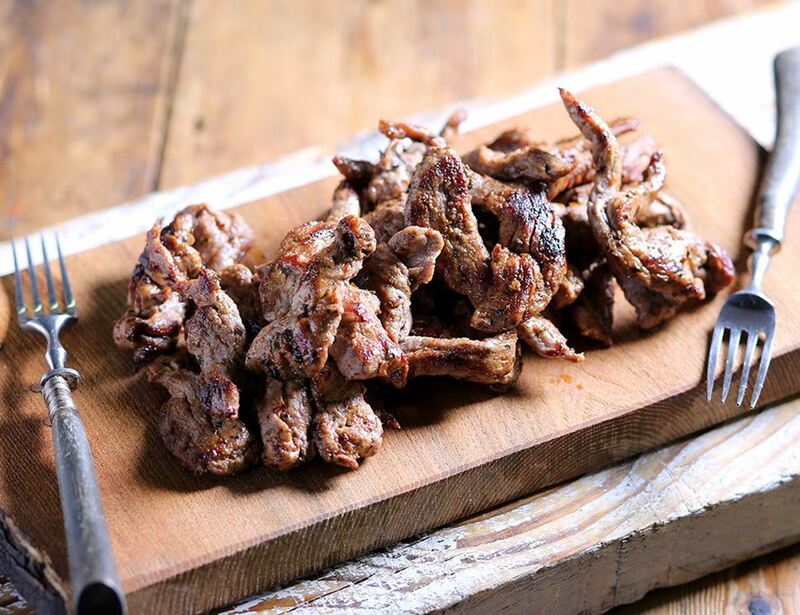 These organic beef strips make rustling up a stirfry an absolute dream. Brilliantly tender, they're already cut to the perfect size and marinated in zingy chilli and garlic, so all that's left to do is decide what veg you're partnering them with, and whether it's rice or noodles you want! Grass fed beef* (95%), garlic and chilli marinade* (5%) (rapeseed oil*, crushed chillies*, minced garlic*, black pepper*, dehydrated onion*, red bell peppers*, sea salt, rubbed parsley*). Store in the fridge below 5c. Once opened, eat within 3 days and by the use by date on the product. Suitable for home freezing, freeze as soon as possible after purchase and do not refreeze once defrosted. Suitable for oven cooking. Time may vary depending on oven. Ensure meat is thoroughly cooked before serving.